20.05.2015: Hungarian writer Laszlo Krasznahorkai won the Man Booker International Prize 2015 award. This was announced at a ceremony at Victoria and Albert Museum in London. Laszlo was born in 1954 and became popular with his satantango which was adapted for big screen. Booker International Prize 2015 carries cash prize wroth sixty thousand pounds. 20.05.2015: Tathagata Roy is the new governor for Tripura. He took oath as the sixteenth governor of the state. He succeeded Padmanabh Balkrishna Acharya who held additional charge as Tripura governor and was actually the governor of Nagaland. 20.05.2015: Economist and policy advisor Mrinal Datta Chaudhuri breathed his last in Pune at the age of 81. He was a student of Shantiniketan and later studied at Presidency College, Kolkatta. He completed his Ph.D at Massachusetts Institute of Technology. He was popularly known as Professor Chaudhuri. 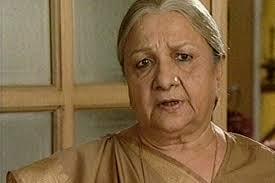 20.05.2015: Television actress Sudha Shivpuri who is well known for her role in Kyunki Saans Bhi Kabhi Bahu Thi serial passed in Mumbai. She was 77. Her role in this popular serial, Baa became a house hold name. 20.05.2015: Joe Root and Charlotte Edwards are named as the England cricketers of the year 2014-15. Root is the vice captain of England’s test team. He scored 1135 test runs. His top score of the season was 200 not out against Sri Lanka. Charlotte Edwards is chosen as the women cricketer of the year. England won OCI series against India and New Zealand under the captaincy. The team also won T20 series against South Africa and New Zealand. 20.05.2015: IDBI is going to expand its branches this year from existing 1740 to 2000. The bank also launched e-huts for providing services in rural areas. E-huts are set up in populated areas such as malls and this is a concept borrowed from west. This entry was posted in Current Affairs, News on May 21, 2015 by Rakesh.